All through 2017, online users thrived in the digital world thanks to features that enhanced user accessibility, online growth, and digital marketing preferences. As predicted, artificial intelligence, chatbots, and Instagram Stories trended throughout the year. Facebook fought with fake news, but it increased to two billion monthly users. Twitter struggled to attract followers which led to a character hike of 280, but it also became a political powerhouse thanks to divisive campaign tweets. Social media transforms the way users interact with one another, and 2018 is diverging whether you consider yourself a Facebook friend or a financial foe! Here are six trends that Frogman Media Group thinks you should look for on your favorite social media sites. Whether you prefer the social networking platforms, newsfeeds, blogs, games, or messenger apps, few can resist spending time logging in daily and learning about the world around us. 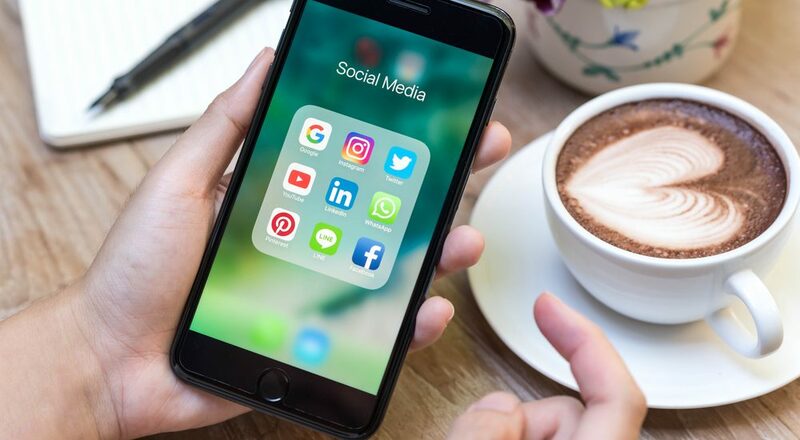 While users in 2017 experienced a few drawbacks from rules and regulation changes, 2018 will see social media sites restructure and expand their bases. Accessibility is reshaping social media in real time which has led to a rise in features like AI lenses and Instagram Stories. Moreover, it has created a shift in content creation such as the fan favorite Vine 2 which is set to hit social media in 2018. Who wants to watch a six-minute video when six seconds will do? Millennials may have set the bar for social media, but it will be Generation Z that sets the course for 2018. Not only does Gen Z spend more time on social media than millennials, but the knowledge of their influence will create a shift in marketing campaigns. Content will soon reflect a newer generation of users! Ad revenue changes shifted last year, and users recovered by crowdfunding to boost their production and revenue potential. Youtube responded by creating the YouTube Partner Program which reduced external links to block access to sites like Patreon. YouTube allowed end screens to promote merchandise or crowdfunding campaigns, but the change to ad revenue and crowdfunding has led some YouTubers to go to Dailymotion. Look for this site to rise in popularity while established video platforms replace outdated revenue campaigns. Chatbots transformed online consumer experiences last year. You should expect Chatbots to assimilate to legacy systems to improve the communication between product producers and consumers. Artificially intelligent chatbots will also scale technology to enhance consumer accessibility. Facebook first began live streaming sports broadcasts with had great success. In 2018, expect them to take live streaming even further after investing more than one billion to bring scripted programming for FB’s platform Watch. Live streaming is on the rise, and look for more social media platforms to venture into this arena as viewers look for innovative and affordable ways to seek out entertainment. If you want to network with others, social media is the place to be. That said, not all social media platforms are the same which is why WeChat is finally catching on in the western market. More than 95% of people in China use WeChat because it provides both a messaging and a payment platform to its users. In 2013, Tencent opened their first office in the US to begin to attract the same level of success as their eastern market, and that move did not escape the notice of other social media platforms. In 2018, users anticipate Facebook Messenger to change its platform to scale services that mirror the WeChat landscape. Expect more social media platforms to transcend into the WeChat world if it is worthy! Users should expect social media to change this year as a response to many of the issues that arose over the last year. What will still be constant is the need for new content, enhanced services, and technologically advanced products that will surpass today’s abilities of the worldwide web.